The membership of the Columbia Chapter of the National Institute of Governmental Purchasing cordially invites you to become a member of our public purchasing organization. NIGP is an international organization promoting professionalism, growth and integrity in public purchasing. Our local chapter sponsors technical dinner meetings, education, professional development programs and the Intergovernmental Co-Operative Purchasing Committee (ICP). Membership in the chapter is open to (I) all public institution procurement and materials management personnel including federal, state county, municipal and township activities, public school systems colleges, universities, hospitals, commissions, authorities, and any other public agency; (II) full or part time employees of NIGP member agencies provided they spend the majority of their time involved in purchasing or materials management functions; (III) persons with full or part time employment in positions having a direct influence on the public procurement process, such as elected officials, department heads, and educators; (IV) persons who take a leave of absence for educational or other reasons may continue as members provided that they continue to pay their dues and plan to re-enter public procurement within two years. Regular members shall be eligible to enjoy all the privileges of chapter membership. Why Join Columbia Chapter – NIGP? The primary function of the public sector professional purchaser is the successful acquisition of true value for all supplies, services, and construction secured for the requesting organization. One of the most valuable purchases that can be made by a public purchaser is the investment in their professional development through an association singularly dedicated to the principles and operational needs of our profession. 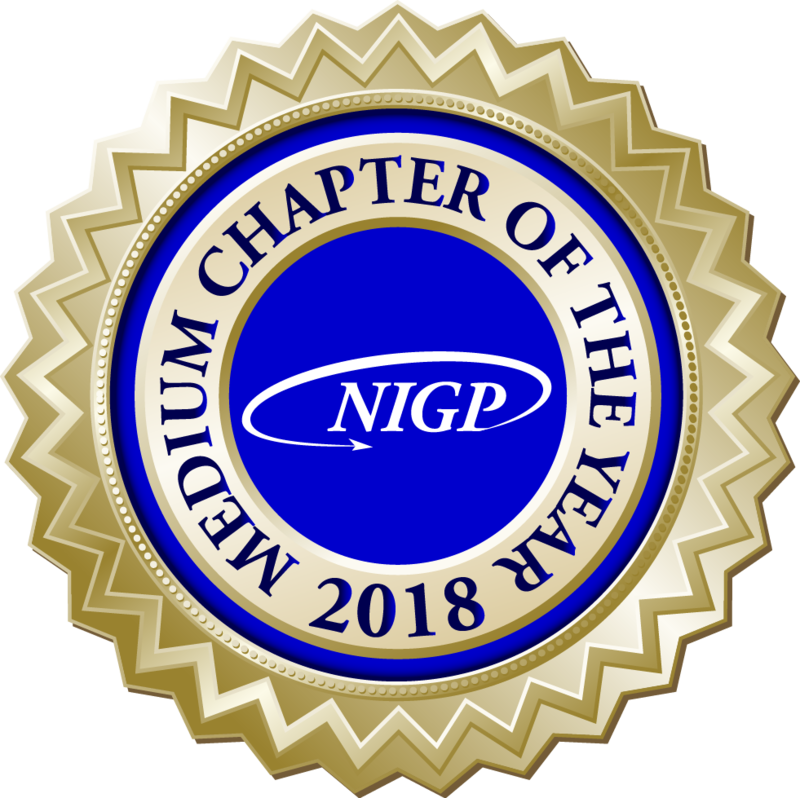 Membership in Columbia Chapter – NIGP shows us and our colleagues how to improve our performance and get MORE VALUE FOR THE TAX DOLLAR. Participation in our numerous programs helps sharpen our skills in the complex and rapidly changing world of public purchasing. Education and professional development programs. Bid evaluation and Award criteria. As professionals, we crave recognition, respect, and advancement. These can best be achieved by striving for and achieving professionalism through education, certification and application of our knowledge. This is the primary reason why we should become affiliated with Columbia Chapter – NIGP. $100.00 per year for membership, entitles members to meals at chapter meetings and discounts for additional educational opportunities.